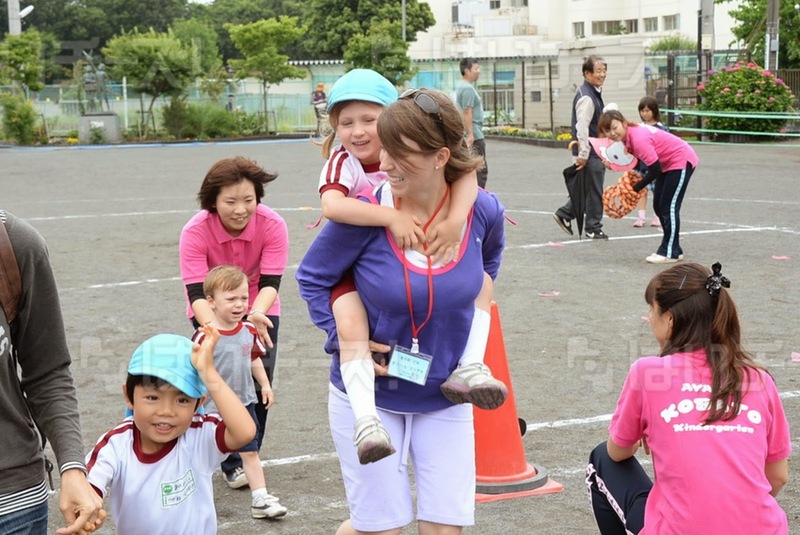 My Japanese friend wasn't quite sure what to call this weekend yochien event for parents. 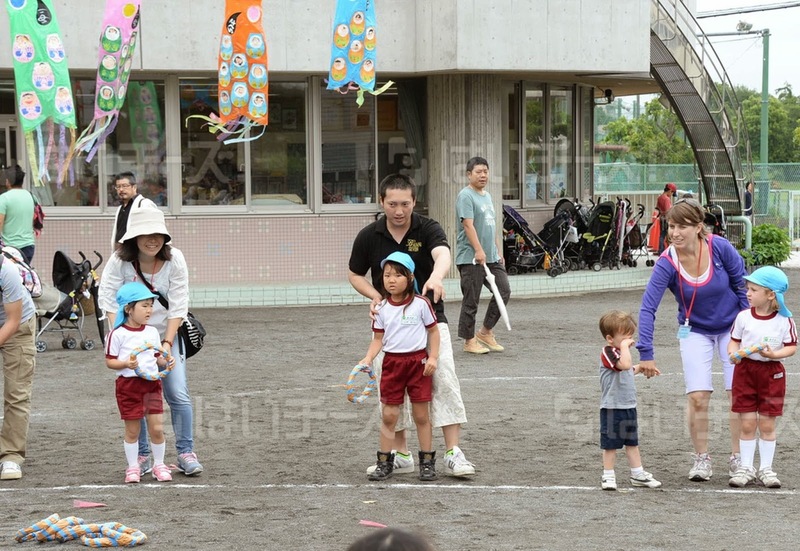 It wasn't a sports day, that will be held in October, and it wasn't a Father's Day event, although the kids would be singing to their dads. 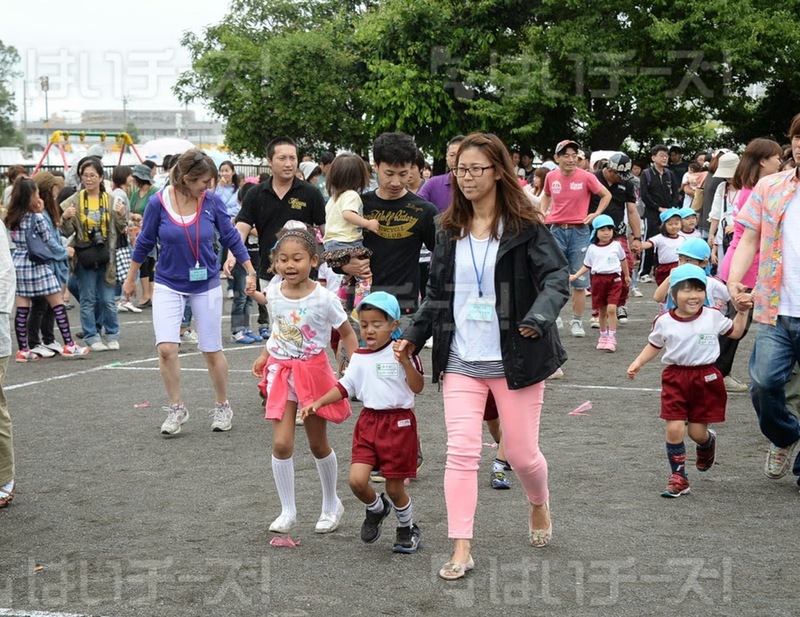 We decided to call it a "parent's fun day" since we would be enjoying games, songs and dances with our kids. Unfortunately DaddyO was still in CA for the day but I took lots of pictures so he could see what we were up to. It began with a walk to the yochien. EJ in her gym clothes and with her water bottle and hand towel. Everyone's water bottles were kept in a handy spot outside so the kids would stay hydrated. The class streamers flew over the grounds. EJ's is the blue class. Then the kids gathers and lined up for their march out. 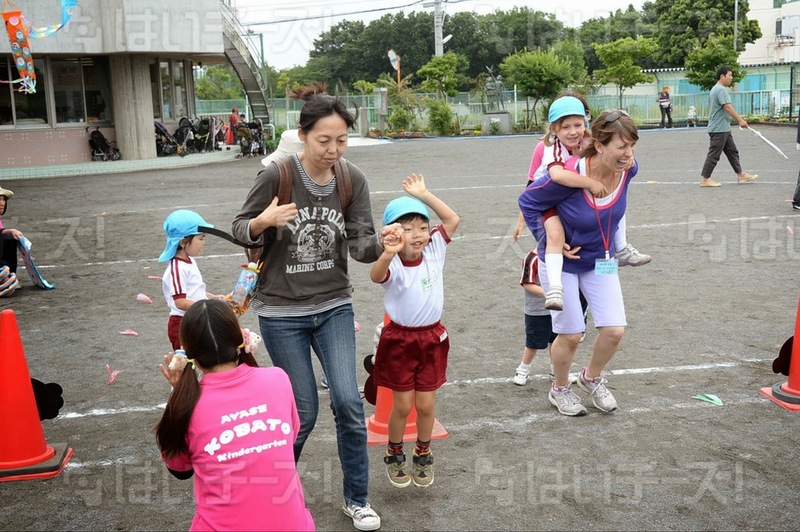 EJ is the second to the tallest kid in her class. The principal gave the opening remarks. Then the four and five-year-old classes danced for us. I made this video of them to a Yoshida Brother's song. Then it was time for the parent games. 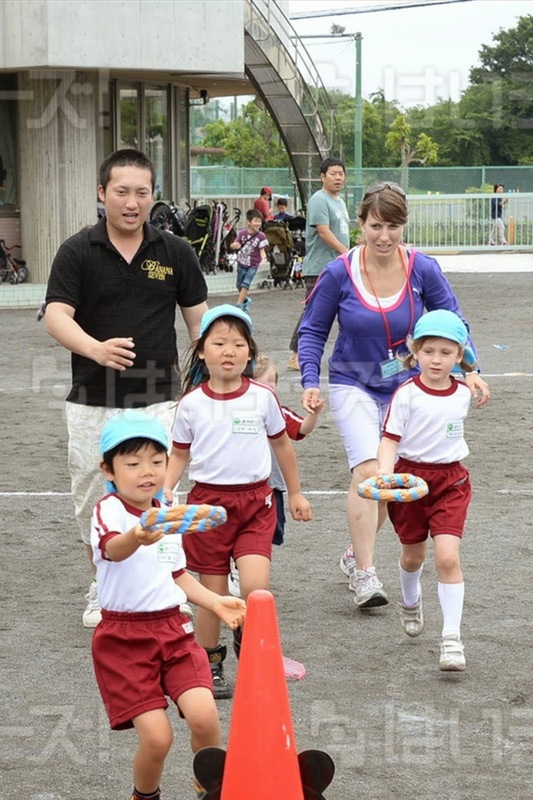 We did a variety of different relays that had us jumping, running, and throwing balls with our kids. CJ and Baby B stayed pretty entertained watching from the stroller. Then it was some classroom time indoors to stay out of the rain. The teacher handed out the Father's Day medals the kids had made in school for their dads. 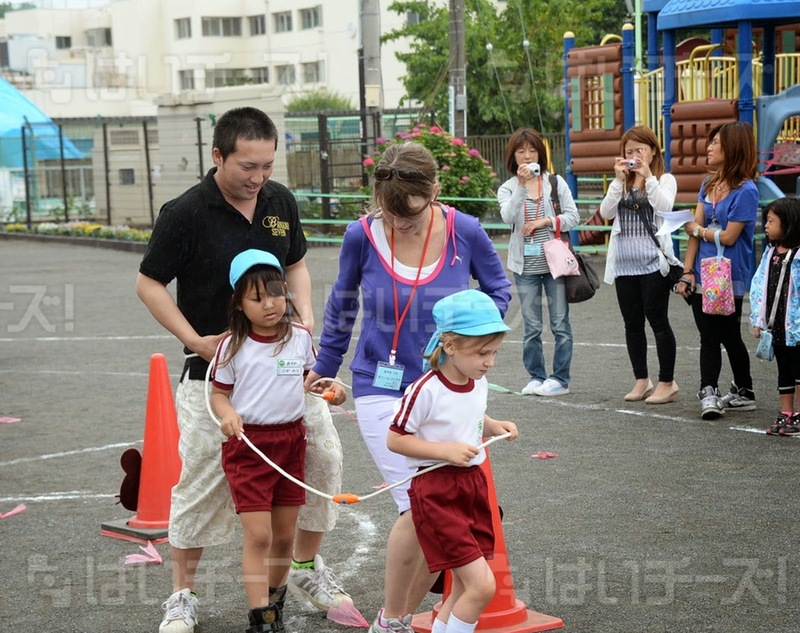 The event ended with them singing a song to their dads in Japanese and giving them the medal. Fortunately I was not the only mom there standing in. It was fun hearing EJ sing and we had the medal waiting on DaddyO's desk for his return.